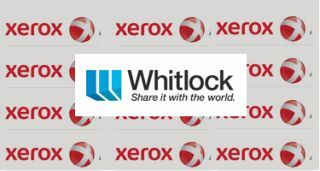 Whitlock has acquired select business operations of Xerox Audio Visual Solutions (XAV) from Global Imaging Systems (GIS), a wholly owned subsidiary of Xerox. While XAV had built a strong audio visual business with increased emphasis on enterprise and government customers, after strategic review, GIS decided that XAV did not align with the rest of its extensive business services portfolio. “Whitlock has a strong commitment to culture and a long history of organic growth, but this opportunity with XAV matched perfectly with our core business principles and values,” stated Whitlock CEO Doug Hall. In deciding to transition out of the business, GIS sought a company that could ensure its audio visual customers would continue to enjoy excellent service and its employees could continue to develop and grow their careers. Whitlock is able to offer great benefits to both, including a proven track record, financial stability, and an expanded footprint for improved service and support nationally and globally.